I already know of the programs by Chokyi Nyima Rinpoche (though not really a ngondro program as it is much longer and includes other things), and Mingyur Rinpoche. I was wondering if there are also other good ngondro programs of this kind. I think you can do most of this program: https://dudjomtersarngondro.com/ online. Ah yes, I saw that earlier, thanks. By online I mean some kind of online support, not necessarily practicing at the computer like with Tara's Triple Excellence. There is a Ngondro in the Tripple Excellence program. It comes before the Highest Yoga Tantra practice. This is also a very good program, I recommend it. Which Ngondro are you looking to practice? Thanks, this looks interesting, though there are not really any details on how it works exactly. I suppose there is just material available online and you can communicate with others. Yes, I meant that it also has many other things. I did the first part of the program last year. I am considering continuing, but I am not sure as I don't really like having to practice along with the computer, wearing headphones etc. Another factor is that the second excellence is extremely long, though that is not necessarily bad. I have not decided yet. Ideally a nyingma ngondro but it depends more on the circumstances. No, there are also webinars and instructors you can email. Yes, I felt the same (computer and headphones), but I have many friends that do this program and they say it gets very good. I may continue with this program, but I'm not sure yet. I hope I will be able to attend a retreat with Chokyi Nyima Rinpoche this summer. I will be in Austria in the beginning of August for the retreat there. If all goes well, I want to attend the UK retreat. It seems there is already a detailed schedule for Austria but not for the UK. In UK Chokyi Nyima Rinpoche will teach on the text by Karma Chagme" Union of mahamudra and dzogchen"also on The Aspiration prayer of Samantabhadra as well as giving a number of empowerments(also refuge). 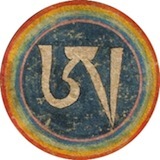 With regards to online ngondro, Phakchok Rinpoche does the following course. Thanks, this looks good too. I have read the general information about the retreat, but I meant a more detailed schedule like on the Gomde Austria website. Having attended Chokyi Nyima's retreats every year at Gomde UK I would think that the program will be very similar. Rinpoche will teach every morninv. Lama Tenzin or Lama Oser will teach in afternoon. ... There will be a one day Ngakso puja and Rinpoche will somehow have to manifest some free time for empowerment. All in all... a packed program..... well worth attending.